Snow days are a big deal for us in north Texas so we always try to make the most of them--a couple of inches and we don't venture out of the house! We got snowed in on Christmas Day a few years ago and it was the best Christmas ever. HANK PHILLIPPI RYAN: For the past forty or so years, snow has meant I have to work grueling and freezing hours doing live shots as a reporter, eating granola bars and trying to keep my fingers warm. Now it's less likely, crossing (still warm) fingers. And I remember so well the very first day we had a huge storm and I thought--oh no! And then I realized: I can stay home! YAAY! So I'm easy: my idea of a perfect snow day is when the power stays on, frankly. When it's all pretty and snowy, that's great, but when you are freezing in the dark and fear to open the fridge so the food won;t spoil and you count the hours until your freezer self-defrosts, that's no fun. So, yay. Electricity. DEBS: Hank, our scary thing is ice. We seldom get enough snow to cause a power outage (although even half an inch can shut down our roads) but we get sleet and freezing rain. If enough ice coats the power lines, we're in big trouble. 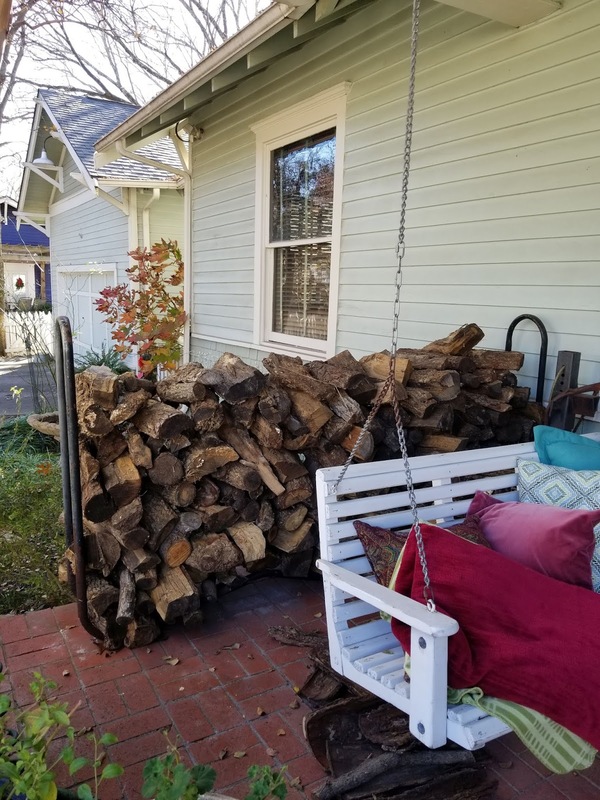 Hence, the newly delivered firewood. Always good to have, just in case. RHYS BOWEN: Snow? Wait a minute--Oh, it's that white stuff that I see on top of mountains. But doesn't exist where I live, either in Northern California (unless I drive up to the Sierra to ski) or in Arizona. I have a confession. I don't like to be cold. I didn't mind when I still skied, which burns zillions of calories, but now that my pace is slower I'll look at snow from a distance. But I presume we'll have some rain days in Marin County where I've just arrived home for December. Rain days will probably involve putting on Christmas music and wrapping presents. JULIA SPENCER-FLEMING: Rhys, I'm coming to stay with you in your Arizona guest house ALL WINTER. It's just the beginning of December, and I've already had to have my driveway plowed three times. I like a white Christmas, but a white week-before-Thanksgiving is a bit much. That being said, I do love being cozy at home in a snowstorm (with Hank's caveat that the power stay on.) It's not quite a thrilling as it was when I had three schoolchildren and a teacher at home - then, snowdays felt like national holidays! It's the perfect opportunity to take things slow - no one is running any errands, you don't have to return local calls because no one's in any of the offices, and it's the perfect time to simmer stew for hours on top of the woodstove, which will come in handy if the power DOES go out! HALLIE EPHRON: My ideal snow day is someone else shoveling my walk. The garden looks so beautiful with a gloppy wet snow clinging to everything. But it's a slippery dangerous mess and I do hate dealing with it. And being cold is not fun, either. First-world problems in an era when it's still cold enough to have snow. I'll stop complaining now. JENN McKINLAY: Living in central AZ, this is not really a thing for me. But if I had a snow day, I would want a fire in the fireplace, soup in the crockpot and a loaf of bread in the oven, a pile of books by my elbow, and my family all safe and sound while making a ruckus bangoing in and out of the house for snowball fights, sledding, and, of course, building a snow family. Perfection. HANK: WITH electricity, Jenn. Trust me. READERS, snowed in yet, wherever you are? Everyone okay out there? And the big questions--Hot chocolate, or mulled cider? 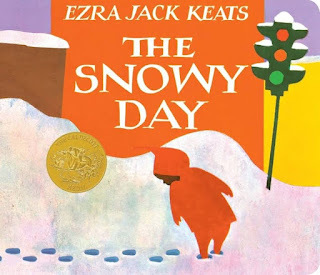 And just as a reminder that not every perfect snow day needs to be in a cabin in the woods, one of my favorite books. And if you've never read THE SNOWY DAY, don't wait for snow, go do it now! There's no snow here yet, but I'm sure it's planning to make an appearance. 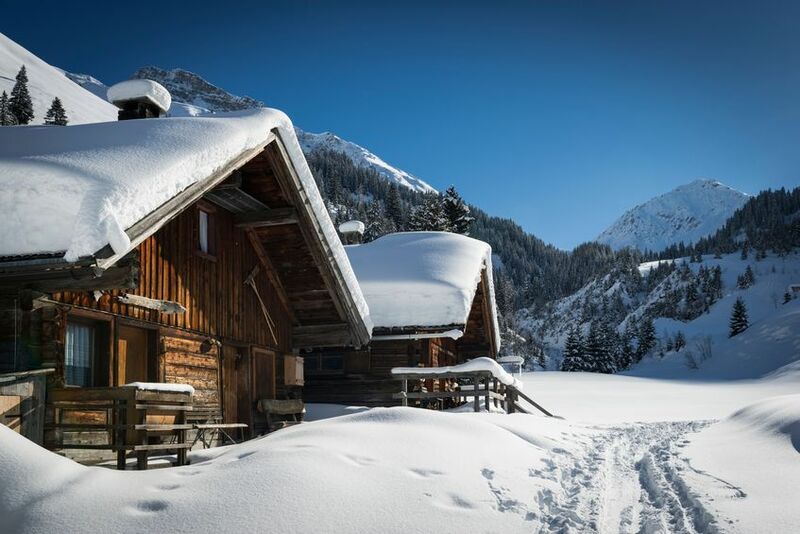 A perfect snow day? I don’t have to venture out, don’t have to shovel the driveway, don’t have to drive anywhere. I definitely want the power on; the bread is probably baking and I get to curl up with a hot cup of coffee and a good book . . . . There's something magical about the words "snow day"--right? Even if you could perfectly well work from home, you are somehow absolved from the responsibility because it's a snow day! Nobody works on a snow day, except the road crews, for whom we are profoundly grateful--but let's not think about going anywhere just yet. On my perfect snow day, it didn't start snowing until after I got home from work, then snowed all night while I was snug in bed. The dogs and I wake to deep, crunchy snow, and I let them frolic in the back yard while I get the pot of chili started. Then it's hot tea, a blazing fire, music throughout the house, and maybe the time to settle down to a cozy craft, like starting a new quilt project. Good books, and a cozy blanket to nap under when we've all worn ourselves of from doing nothing. Housework? Work-from-home work? Who ever heard of such a thing??? You could even walk to a neighbor's, Gigi! Hallie, that's the usual here. When I was a kid, and we got snowed in, Mom used to send my sister and me out to hike the half mile up to the neighborhood grocery store for bread and milk and eggs. We would turn it into an epic quest, and narrate our story as we went. I can remember the quest, and the hot chocolate that waited for us when we got back home, but considering the bread/milk/eggs combo, you'd think there would have been French toast somewhere in there. I don't remember French toast on snowy afternoons. If I make the hike to a neighbor's the next time I'm snowed in, will I get French toast? Right now it's 36 and raining - uck. I'd rather have snow! My perfect snow day is after it's stopped and the roads and driveway are cleared, and I go for a cross-country ski in beautiful quiet woods and fields, the sun sparkling on perfect fresh snow. After being housebound it's perfect low-impact exercise, filling my lungs with clean air. When I get home is when I curl up on the couch with a book and a blanket - and some brandy in my mulled cider. We've got Edith's weather here today, so that foot of pre-Thanksgiving snow is history. However I am keeping the faith and hoping for a white Christmas. It is usual for the tundra. Hot chocolate or mulled cider? Neither really. Just yesterday I was thinking of all the chocolat chaud I've consumed in Paris. It isn't your father's OldsmobileImeancocoa. But I'd never make it at home. My drink of choice in this season is eggnog, just one because it contains enough calories for the entire day. I am okay with rum or brandy, but I prefer it with bourbon, about 1:3 proportions, and a grating of nutmeg. We have a local provider, the Pittsford Dairy, that makes the richest eggnog, so think you have to cut it with a knife. Perfection. Yesterday was the first day of Julie's retirement, and we've been celebrating since Friday afternoon. Several bottles of Prosecco later I switched to eggnog. And we curled up and watched National Lampoon's Christmas Vacation. This is possibly the raunchiest prat-fallingest Christmas movie of all, and no matter how many times we watch it, we splutter and guffaw and say that the season has begun. Oh. And popcorn. Not microwave but made in a heavy pot on the stove, with a drizzle of real butter. Addendum: I've lived through many an ice storm in North Texas, and it is terrifying, even if the power stays on. Traffic is paralyzed and everyone with any sense stays home. Except for nurses. I've had to stay at the hospital for several days until I could get home again. Here on the tundra we have snow management down to a fine science. The plows and salt trucks are out at the first flake, we have someone who plows our driveway and usually waits until the street and sidewalk, yes sidewalk, plows have come by so we don't have that hump of snow to get over at the end of the drive. Anything less than 25 inches is a mere nuisance. Back in the day, I managed to get out and see all those patients in their unplowed homes. We cope, just like Julie does I imagine. Two thumbs-up on the popcorn. Thumbs-down on ice storm. You can wipe out on your back steps. We have an old fashioned stovetop popper. I put in little olive oil, a little popcorn salt, a third of a cup of popcorn, and turn the crank. Perfect. Have never watched National Lampoon's Christmas Vacation, Ann. I trust you. Putting on my list. Snow days in Atlanta were ice days, when it was too treacherous to venture outside. If we had power, I'd cook a huge breakfast and decree our yearly closet clean out, followed by a new movie from my ice storm stash. If we had no power, I would layer wool blankets on the beds and tell the kids to stay put. Outside, the tall, skinny pine trees would crack in half and land with a seismic thud on the ground. Scary. School closings! I lived in rural Indiana, and we would hope and hope —snow days were such a gift! Snow days! I've always been a get-outside-and-do-something in the snow kinda person. Snow mazes for the boys, along with angels and forts and snowmen and snowball fights. Cross-country skiing. My camera and (small) dog in my boot prints across the fields. Even shoveling. And then coming back inside for getting warm and cozy with hot chocolate and soup and a movie or a book or pencil and paper and music. Or a quilting project, with a cat snuggled next to me biting at the string as I sew. But, as above--best with power on! This is the stuff I like to watch them do... from inside the house. Spectator sports! Ah, the quilting frame. Was a better cat environment ever invented? The cat can curl up in a warm sort of hammock next to his/her person, in a well-defined place (I use a lap hoop) and there's moving string! Plus it's fun to hear the person sputter and curse as the cat unthreads the needle with a swipe of the paw, then runs off with the spool of new thread and hides it somewhere unfindable. Cat Heaven! We have snow elves--the kids across the street, three of them, the oldest is 12, who trudge over on snowy days and clear our driveway, cars, and front walk. We're subsidizing for their college education. We love them. And I love to see pets galumphing around—pets are so hilarious in the snow. But yes, when everything is covered with ice—it’s beautiful but terrifying. It's raining here right now. Thankfully it isn't snowing because I'm the shoveler of said snow and since I'm dealing with a (hopefully) minor back injury right now, I couldn't do it. A perfect snow day these days is having power, but having too much snow on the ground to go to work. Growing up, the perfect snow day meant power, snowsuits, tomato soup when you came in from playing in the snow and of course, seeing your town on the news alerts that said "NO SCHOOL". As I grew up, a snow day also meant (as Hank might be able to attest from working in the same media market) looking at the Channel 4 (Sorry Hank!) news coverage to see where reporter Shelby Scott was doing her live shots from because she seemed to always be wherever the weather was the worst! The hell with "Where's Waldo? ", "Where's Shelby?" was way more fun to play! Did you have grilled cheese sandwiches with your tomato soup, Jay? And perhaps you might consider what my brother-in-law, the mad scientist, did when he built his house up on the mesa north of Santa Fe. He embedded heating coils under his driveway, so when it snowed he would pour himself a cup of coffee, stroll out to the garage, and flip a switch, then watch the driveway snow melt away while he drank his coffee. Gigi, yes. Grilled cheese sandwiches were also on the snow day menu. Nice idea that your brother in law had, I wish I could do something like that. I live in what's called a 'winter city' so snow days are few and far between, even though snow itself is plentiful from December through March, if we're lucky, or April if we're not. It's takes a near blizzard to shut things down so we can all stay home. That said, my perfect snow day would include white fluffy stuff outside, power on inside, books to hand, tea, then coffee, then I'll have some of Ann's eggnog - yum! What's so great about a snow day is that the usual schedule goes out the window and time seems to stand still, so that I can putter between the kitchen, the sofa and my craft table where I like to collage. None of that usual rushing of standard days. Time. That's what a true snow day means to me. Bring it on! A day out of time, Amanda! That's exactly what it is. After 33 years in this house, this will be the first winter my husband will be here for any snowfalls, instead of either down the street at his studio (torn down and being replaced with our new home), or out photographing birds in the snow. I have shoveled this 300-foot long driveway so many times--now he can be the first responder! But honestly, it's been a couple of years since we have had more than a 3-inch snowfall to worry over. We did have an icestorm on top of one, but there's no shoveling of that. I just hunkered down until it melted. Snow days were great when the kids were little. One of my favorite memories of my middle daughter is when she was in fifth grade and we had a foot of snow. She and her three best pals in the neighborhood were literally wallowing in the snow, rolling around and playing. Steve would take the girls to the nearest sledding hill, or the local kids would all come here and slide down the hill in the front yard for hours, then come in and warm up with cocoa. Last winter our little next-door neighbor slid down the hill on the couple of days we had more than a dusting. Our best-ever Christmas was in Detroit at my oldest daughter's home. It was her mother-in-law's last Christmas, unbeknownst to us, and when we got snowbound we all played the most hilarious multi-generational game of Apples to Apples in history. We decided to just keep playing, and it was epic. My son-in-law trudged out to a nearby restaurant for sandwiches, and along with leftovers and a roaring fire, we had a grand time together. That sounds absolute lovely, Karen. I think Kayti and I played Apples to Apples the Christmas we were snowed in. Time to dig that one out! In my real life when I was a teacher snow days were the best! Oh, DebRo, I remember when that happened. So for our fantasy, it is a snow day when you do NOT, for any reason, have to go out of the house! We get snow a few times each winter, but it rarely bothers us. Ice is another matter, as we live on a fairly steep hill, and it's undriveable when icy. Three years ago we had a foot of snow overnight, very rare, and were locked in. Then after three days it sleeted, covering everything with ice. A week in total of "snow days". But we had power. The whole time. So perfect snow day, regardless of amounts? A lot like a rainy day, actually, for an older retired couple. Fireplace on, book in hand, casserole, chili or soup on, cookies or snacks. No hot cocoa, no popcorn, we don't care much for either, so coffee or tea. Always a book. Always. I'm in Alturas, in the northeast corner of California. We had our first snow of the season yesterday, and then more overnight and this morning. My perfect snow day would include two or three new books, stew or chili from the freezer, and enough additional bags of stove pellets in the house to not need to bring in more. Bonus if there are favorite PBS shows for after supper. I love Keats's picture book! I used to read it to the Hooligans before driving them up to Flagstaff to see snow! Now I'm kind of wishing for snow...but just a little. And, yes, Hank, with electricity! LOL! I grew up with snow and loved it, the playing outside and sledding and coming in for hot chocolate. And, the getting out of school was pretty great, too. I still love it as an adult, but like Hank emphasizes, with electricity on. There are tasks as adults that go with snow that take some of the magic off of it, but there's nothing more beautiful than watching those white airy flakes floating to Earth. We don't seem to get much snow here in western Kentucky anymore, and a white Christmas is usually a hopeless thought. But, we used to get some good snows. I remember shoveling in the yard (yes, the yard) one year so our dog would have a place to do her business. Several different places had to be shoveled. My hometown in northeastern Kentucky gets more snow than we do here, and when friends there are talking about it, I return to my childhood memories of the fun there. Oh, and my perfect snow day now would include a pot of hot coffee made, a good book to read, the fireplace glowing (for effect, not necessity), and sitting on the couch or in my chair with a blanket to stay cozy. The soup or chili would already be made and just waiting to be warmed up when I wanted some. Snow happens here in Houston but not often. And certainly not in any real amounts. I saw plenty though in our years in Ohio and Minnesota. A perfect snow day was when I could lounge in bed and not worry about having to get up and drive anywhere. Not to work, not to school. And have electricity. And plenty of groceries. I went to college at NAU in Flagstaff, AZ and really enjoyed the weather since it was a big difference from living in the desert. I had shortie (ankle high) snow boots and walked everywhere - I remember walking to church wearing my blue suit and the snow boots after a big snowfall. Several years later I moved to Charlotte, NC, and it snowed most years. We got a terrific ice storm one year and the power was out for almost a week - thankfully it was on at work. I remember sitting in my comfy chair, wrapped up in a blanket, and listening to audiobooks since I could do that without power. I moved to Colorado 13 years ago so plenty of snow, shoveling, etc and I don't care for it as much as I did in my younger days. I prefer to sit inside and see it floating down...and melting on my sidewalk so I don't have to shovel it LOL. Last year(Massachusetts) we had enough snow days off from school to end up going through June25th. We also lost power for 3+ days each storm, so I purchased a generator. Now when I have no power, I can still use my FIOS, microwave, refrigerator, furnace, & TV. I'm not a pioneer woman at all. Like my modern comforts, electricity #1!! Shalom Reds and fans. We do have electricity blackouts here in this Philadelphia suburb pretty often in inclement weather. Praise God only one longer than 2 days in the last decade. If we have to have a blizzard, I prefer if it snows all night and winds down by morning with the sun shining. With my smartphone camera I’ve taken some really good pictures at night while it’s snowing. At night in a blizzard there are very few cars on the road and everything looks peaceful and calm. The school district here is very risk-averse. So, many times, just the mention of 6 inches or more is enough to cancel school. Also a lot of businesses follow the school district. I mostly stay at home during snow days but once in a while I will venture over to our Mercer Museum, where there is a fine hill for sledding. The kids are sure to be out in force. Mostly, I am just as content to stay home and watch the snow from a window. If I have coffee, nicotine and a strong wireless signal, I am usually fine just to stay home and surf the web and listen music or whatever. We did have an early snow event about two and a half weeks ago and I was out in it. One the way home, I fell in the snow and couldn’t get up for two tries. I took a deep breath and said to myself, I am too young to be caught like this and slowly I stood once again. My birthday was yesterday, and I just became eligible for free mass transit travelling in our region. David, glad you were okay after that fall! Schools will close here at a predicted inch! But we're just not equipped to keep anything but major roads clear. Snow days aren't really as much fun when you're retired and don't get out of school or work. I wish most of the snow would fall on the back yard where it looks lovely on the garden and not much in front where I have to shovel the walks or even worse dig out the car. Still if it melts soon, it is nice to stay inside with books, tea, and good food. I heart mulled cider AND hot chocolate - the peppermint kind! Snow days reminded me of when I was in New Hampshire and I made the mistake of walking over the snow instead of the path that was paved to the door. I fell three feet into the snow! Once in a lifetime experience! When I lived on the East Coast, we were warned about black ice! I love the snow and the winters. Perhaps because I was born in January! To me, the winter means ice skating and skiing. Now I am not sure if it is possible to ski with all of the snowboarders out there!